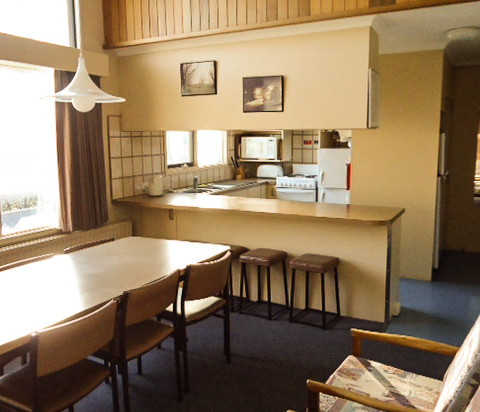 In 1972 a group of ski enthusiasts came together to jointly purchase a ski lodge for accommodation at Falls Creek. Securing Banool Lodge in Parallel Street, they adopted the name of Banool Ski Club. Today Banool Lodge continues to provide year round accommodation for Banool Ski Club members, their guests and, in recent years, members of the public. After purchasing Banool Lodge, Banool Ski Club members put in many hours of voluntary work over several years to modernise and extend their facility. The four original flats were completely renovated with a fully equipped kitchen, large dining area and comfortable bunk accommodation. In addition, a fifth, smaller flat and a large recreation room were added. A further major renovation took place to comply with the terms of the renewed 2012 lease. 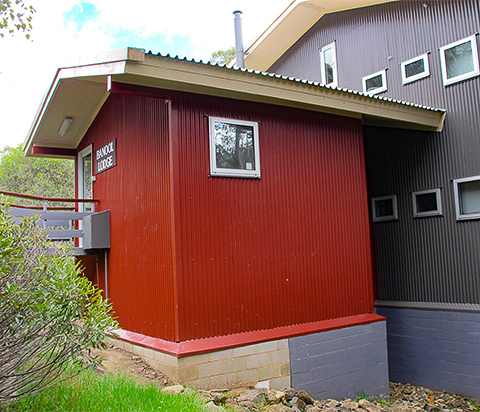 As part of this upgrade double glazing was installed throughout, the lodge was given fresh COLORBOND® cladding in snow gum colours, and a new ski, snowboard and bike storage extension was added adjacent to the Parallel Street entrance.